What is a Gett and Why do I need one? A gett is a document that is written by a specially trained scribe for the husband and then hand delivered to his wife. The divorce takes place upon the delivery of the gett by either the husband himself or the specially appointed agent of the husband to the wife, and must be in the presence of a Beis Din (Rabbinical court). 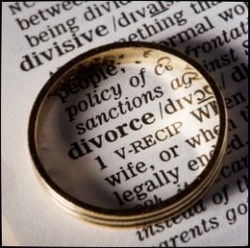 The gett plays a fundamental role in Jewish law and is the ONLY method of divorce recognized by Jewish law. A woman who remarries without receiving a gett is considered to be committing adultery by Torah standards, and the consequences of any children born from that marriage are severe. A husband is also forbidden to remarry without giving a gett to his wife. The gett can be done before, during or after the civil divorce and doesn't deal with any of the financial and custody disputes or claims. In general, a couple is encouraged to pursue a gett as soon as the decision is final that their marriage is irreparable. A Gett can only be done with the consent of both the husband and the wife. The entire process respects the dignity of both parties and recognizes the sensitivity of the issue. It tends to be more logistical and less emotional. We will not need any official forms of documentation to do the gett (the ketuba isn't necessary), other than a drivers license or some other form of ID to confirm the identity of both parties. We will need to know the name of the husband, his father, and the name of the woman and her father. It doesn't matter whether the names are Jewish or secular names, the only issue would be to ascertain that these are the actual names used by people to refer to them. I would have to speak to both him and her separately on the telephone to establish their names prior to coming for a gett. It is also important to verify if the husband, or father of the wife is a kohein, levi, or yisroel. In order to officiate the gett, the husband will have to come to the Jewish Study Network in Palo Alto (3626 El Camino Real) to give the instructions to the scribe to write the gett and the witnesses to sign it. At that point the scribe will spend about an hour writing the gett by hand with a feather and ink, and it will then be signed by witnesses. The wife will only have to be present for approximately 20 minutes at the end. If the husband and wife cannot be together in the same room, we can arrange for someone to serve as the messenger to deliver it from him to her but we must know this in advance of writing the gett. After the gett is hand written, signed by the witnesses and delivered to the wife, both the husband and the wife will be provided with a letter from the Beit Din declaring that they are divorced according to Jewish law and permitted to remarry. This letter will be recognized by Orthodox Rabbinical courts as permission to remarry according to Jewish law. The scribe and witnesses can be made available to write the gett in Palo Alto on most days of the week in the afternoon hours. We prefer to start the gett at approximately 1pm, but can also accommodate in the evening and Sundays if necessary. The cost for a standard gett is $600 (it is a fee for a service and is not tax deductible). If we need to travel to receive instructions from the husband or deliver the gett to the wife, or to send the gett to a Beit Din in another location, there will be an extra $100 - $200 charge (depending on distance) for travel time. For more general info about the gett process click here.